We are happy to announce our new renovation project on the edge of Krisana Park in southeast Denver. Located on a horseshoe of a street where there are about a dozen brick mid century modern ranch homes, this house is a time capsule from 1960. We purchased this home from a 90 year old woman who had lived here since it was built. 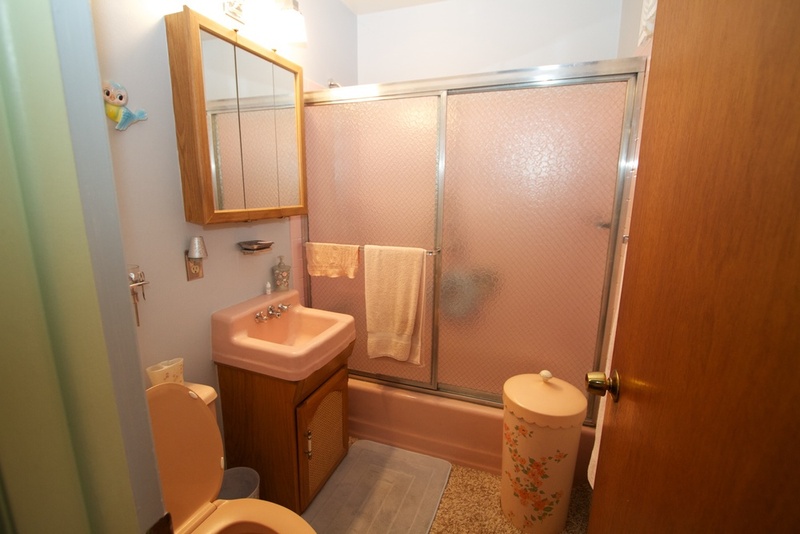 Carpeted floors and baseboard, pink bathroom fixtures, original state of the art appliances, paneling, and mid mod light fixtures all are still intact. What appeals to us the most is the open floor plan with vaulted ceilings, as well as the large glass openings to a covered patio and large back yard. Unlike Krisana Park homes, the house has a full finished basement level! Upon our initial investigation, we discovered nearly perfect oak floors beneath the carpeting, drywall behind paneling, and most importantly the plumbing and roof had been recently updated. As you can see, however, the home is clearly in need of some improvements, and our current plan calls for approximately 3000 square feet of living space, with 4 bedrooms and 3 baths. The existing curb appeal is lacking (the front of the home looks like the back of the house), so we will be focusing on enhancing the exterior, as well as the overall landscape and hardscape. We are excited to be underway! We will be posting regularly as the project moves forward, so stay tuned. View from living room to kitchen. The decorative panels are movable. The jury is out on whether they get re-used. View from kitchen to back patio. Larger windows will replace existing to open up to the back. The "master" bathroom. Enough said. Large basement ripe for a remodel.